What a difference a month makes! After the precipitous drop of our net worth in December, I wasn’t expecting to breach the $3 million mark again for awhile… but January was an exceedingly kind month. Our net worth came back with a vengeance — In our taxable accounts alone we saw a $125k increase in January. Those taxable increases alone were more than enough to push our net worth back above the $3M mark, and it really emphasizes why I don’t report our net worth more frequently — it’s just so dang volatile! Instead, I try to put the market noise on “ignore” and just focus on the things I can control — namely our income and expenses. 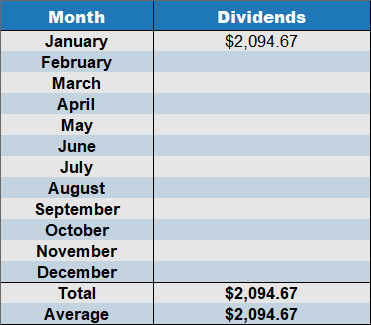 Dividend income in January tallied up to a very decent $2,094. While January is never a HUGE dividend month (December is typically the largest), I’m always glad to see the cash still coming in. There’s just something about cash coming passively that I absolutely love. Based on our dividend growth plan for 2019, I expect to see a 6% increase in dividend income for the year, but you won’t see this increase in the first couple of months. Most of our investments tend to increase dividends in the spring — Usually in the March/April time frame. 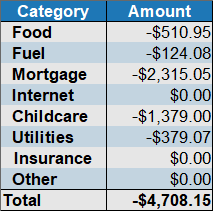 Food spending was $510 in January, and this is very close to our long-term average food spending of $500/month. This number is a big improvement over December’s food spending, to which I credit having fewer parties and feeding fewer people (we had holiday guests in December). Does this low spending mean we’re living some kind of deprived life? Hardly! 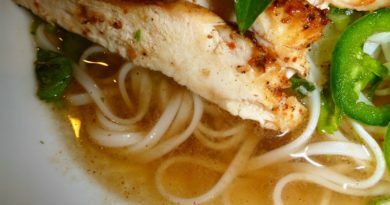 Cooking at home ensures our family of 4 eats very well on a relatively modest budget. Some people might even say that we eat decadently. My son would be happy if we only fed him lettuce. He loves the stuff. Alas, I insist he widen his culinary palette. I’ll let you be the judge of our “deprivation” — time to share some of my favorites meals from January! 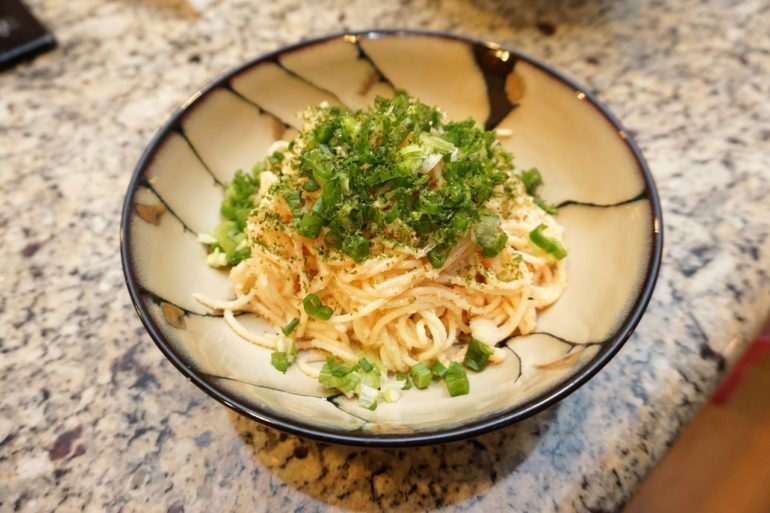 First off is a family favorite — a fusion recipe (yoshoku) that combines some of the best flavors from the east and the west. It’s called Tarako Spaghetti. The dish utilizes spicy cod roe (that’s right — fish eggs), Parmesan cheese, nori strips (seaweed), and spaghetti. It’s sort of a cross between Italian and Japanese cuisine. You wouldn’t think it works well together, but the combination is absolutely tantalizing for the taste buds. 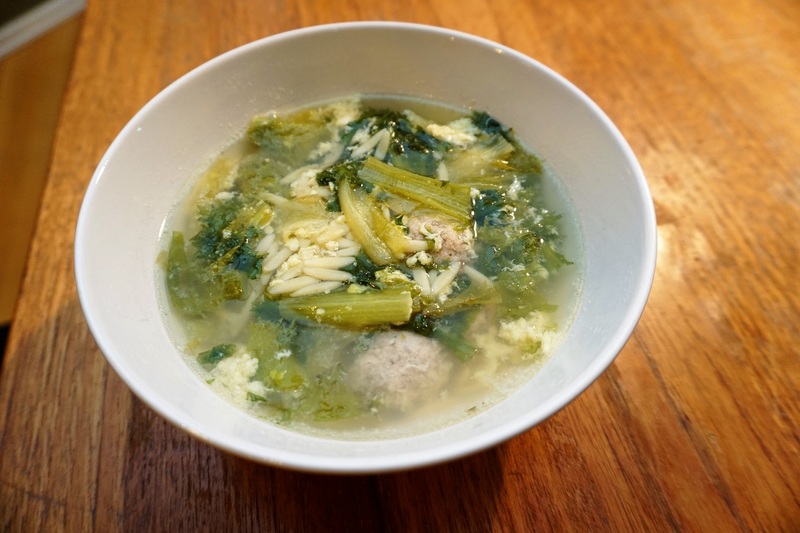 Next, is a dish of decidedly Italian origin — Italian wedding soup. It’s one of my favorites on a cold January night. Supposedly the soup is called a “wedding soup” due to the marriage of the two main ingredients — endive and meatballs. Everything was handmade, except for the Orzo pasta. 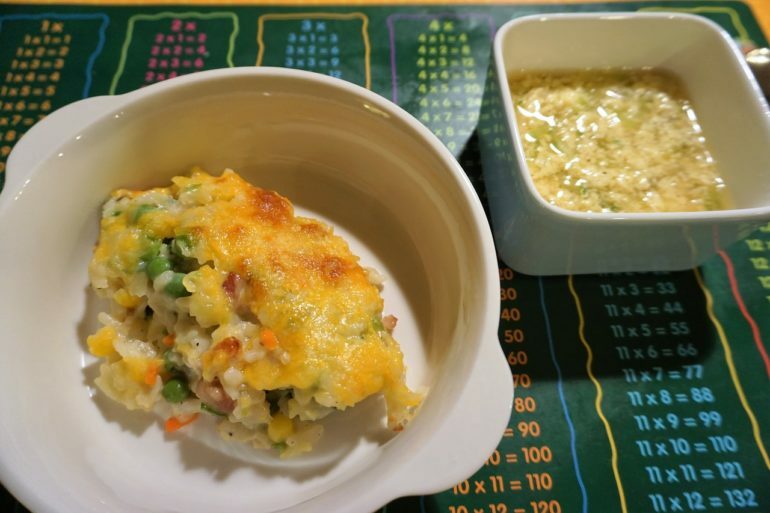 With plenty of days off in January, Mrs. Tako also had time to make some of her favorites — Like this Doria, which is a kind of Japanese “gratin” that utilizes leftover rice, cheese, vegetables, and bechamel sauce. It paired well with Mrs. Tako’s cucumber soup recipe. 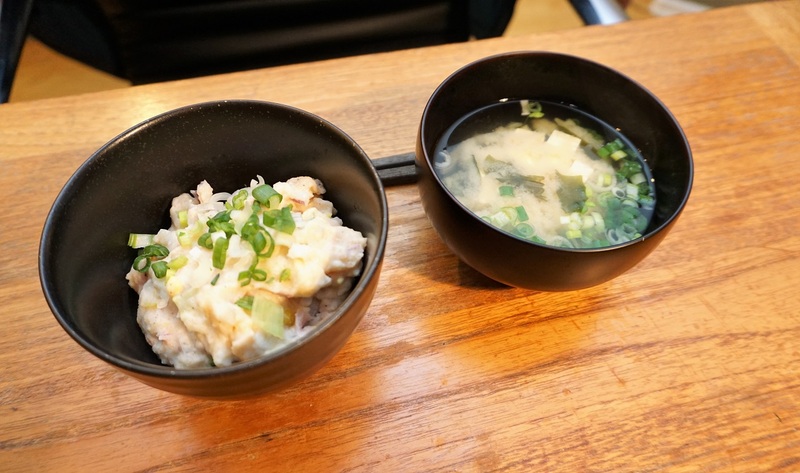 Last but not least is a meal of miso soup and Japanese potato salad. Japanese potato salad is a little different than the western variety you’re probably familiar with. The biggest difference is the inclusion of ham and occasionally spicy cod roe (which we used in ours). There’s typically a ton of fresh vegetables too, which keeps the dish healthy. It’s my favorite kind of potato salad. See — nobody starved in January! Our bellies were completely stuffed with good food on a mere $500/month! For January, we spend $124 on fuel. Normally we spend around $100 per month, and this higher amount mostly reflects a slightly larger amount of driving we did in January. Mid-way through the month we went on a family road trip to southern Washington, which consumed approximately $30 in fuel. If you subtract out that $30 fill-up, fuel spending is right in-line with our average. Our internet bill was $0 again in January. As I discussed in previous months, we pre-paid our internet expenses to meet a credit card sign-up reward back in May of 2018. This resulted in a $0 internet bill for most of 2018. We should see our next bill in March of 2019. Despite the low cost, we still have very speedy internet service. Faster than we need actually. Normally we pay $49.95 per month for 60Mbps down and 5 Mbps up service. It’s plenty fast. As usual, monthly mortgage and childcare expenses were our two largest expenses in December. Combined, these two items totaled $3694.05. Unlike many families however, these expenses are entirely optional for us. Using spare cash I could easily pay-off the mortgage. If I wanted to, I could take our youngest son (Tako Jr. #2) out of daycare too. 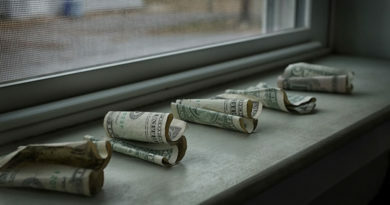 Those actions would completely eliminate our two largest expenses, but at the cost of opportunity — I would no longer have all that spare cash to invest, and no time to blog. On top of that, Tako Jr. #2 would be missing out on his language immersive daycare (The daycare is completely non-English). For now, we’ve decided to keep these expenses for the time being. I also plan to write more about our geoarbitrage strategy (which will reduce these expenses significantly) in a upcoming post. Utility bills in January totaled $379. This amount includes our power bill ($141) and a water bill ($238). All of our other utilities (garbage, phone, etc) were prepaid earlier in 2018 to capture that credit card sign-up reward mentioned earlier. Winter is typically our most expensive month for utilities due to the higher level of heating required. Our home uses a natural gas fueled furnace, which is older and not the most efficient design available. Despite the expensive bill, we are employing several money saving strategies to keep our energy bill low…ish. Monthly insurance bills totaled $0 in January. Whenever possible, we try to pay our insurance premiums for the entire year all in one go. Our car insurance (for example) is paid once per year. This is always a large expense, but most insurance companies give-out a discount for paying it all upfront — so it’s actually cheaper this way. The last big insurance bill we had was back in October 2018 when we paid our annual car insurance bill. After an expensive December, it was good to see our “Other” expenses decline down to a very budget friendly $0. The Other bucket tends to include everything that doesn’t properly fit in to the other categories — house repair expenses, new car tires, birthday presents, toys for the kids, and the occasional night-out for Mrs. Tako and I. There was no need to buy new toys in January — we had plenty from Christmas. 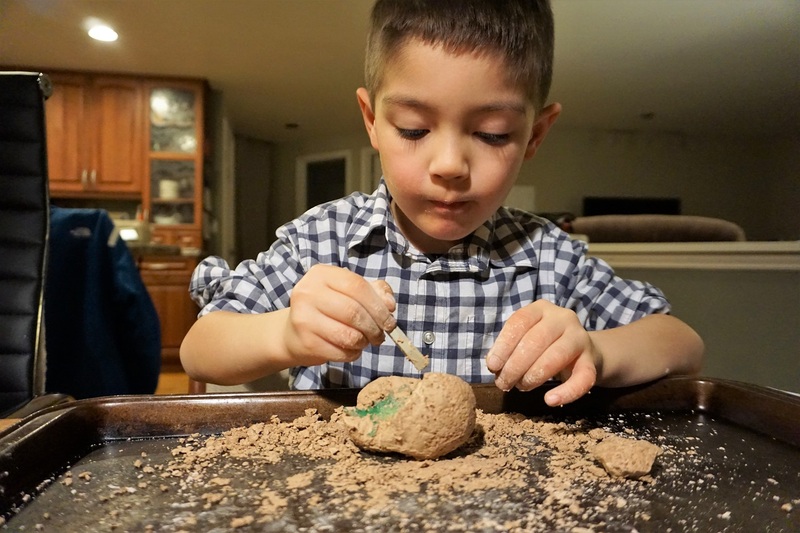 Here, Tako Jr. enjoys his new dinosaur egg archaeology kit. In a normal month we typically have some kind of “Other” expense (usually making this category non-zero), but for some reason January turned-up empty. This is the primary reason our monthly spending came in below our $5k monthly average. Although only one month in 2019 has been completed, we’re off to a good start! 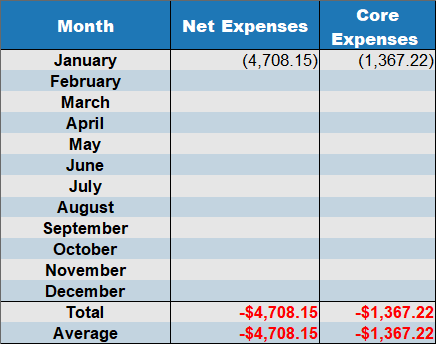 January expenses were $853 lower than in 2018! As I’ve discussed in my previous posts, controlling your expenses is one of the keys to A Better Long Term Wealth Builder. 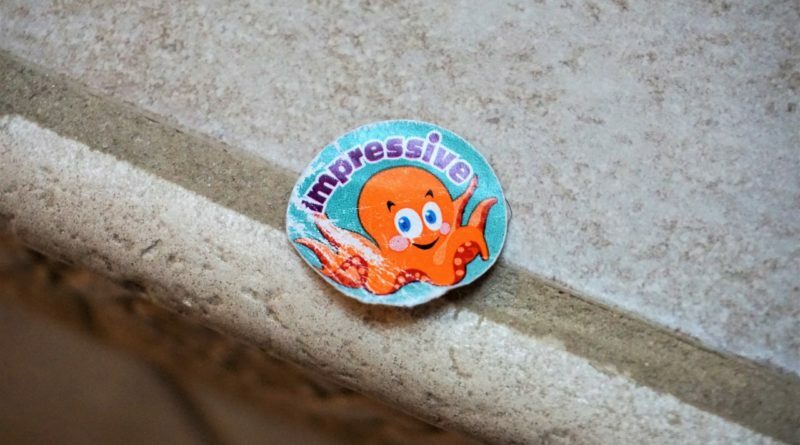 Learn to manage your expenses and you’ll build wealth faster than the average octopus. From an investing perspective, January was a buying month. We bought $39,064 in Discover Financial (DFS) shares. The plan was always to accumulate more shares in this particular undervalued treasure. Shares in DFS fell by 20% back in December, and it seemed like a good time to buy in at a lower price. So, we picked up 600 shares at an average price of $65. Discover Financial Services now comprises roughly 10% of our taxable portfolio, and I continue to like this particular investment even though it hasn’t produced any large gains for us in recent months. It’s not a “growth-rocket-ship” or a “quick flip”, as I intend to hold this investment for a long time. My investment in DFS is really about compounding. As long as consumers keep using credit cards and keep buying “stuff”, I think we’re bound to do pretty well with this investment. The company displays good levels of internal compounding, and over time this is going build considerable value for shareholders. “In the short run, the market is a voting machine. In the long run, it’s a weighing machine.” – Warren Buffet. The importance of this maxim goes wildly unnoticed by most investors seeking performance. Some investors believe that investing in the stock market is a popularity contest (aka the voting machine). They attempt to buy into the fastest growing and most popular stocks, hoping to pick the “right ones” that will rise and provide the most return in any given year. I believe this to be a fools game. From my point of view, investing is actually more of a waiting game. You make your investments and then wait for the value to be realized. Sometimes this happens quickly, and other times it can take decades. My preference is to play the “weighing game” over the “voting game”. It gives my investments a chance to compound longer, and I get to focus more on weighing the value rather than worrying about how the market is voting this week. That’s it for January! Now get out there and enjoy your February folks! A dinosaur egg archaeology kit…… dammit, they didn’t have cool stuff like that when I was a kid. I want a redo! I don’t have a mortgage and my expenses were $10K this month! So yours look really good. It was that high because of the kids a little and a lot because of a final legal bill. My dividend income definitely didn’t cover it! It’s pretty easy to get your kids to eat stuff like Japanese potato salad. You put it on the table and say “Here’s what your going to eat”. If they refuse, that’s fine, but no snacks or sweets in-between, and they get to see that same plate at the next meal. Nice post and way to scoop up those DFS shares. I could help myself and picked up 200 shares of MO at $43 per share. Dividend income in January got a huge boost due to the special dividend paid out by BBL so dividend income in January was more than $9k when it should usually be at $5k- a very unusual and nice gift. My wife is pregnant with baby number two so by late summer we will hopefully have a six year old girl and a newborn boy! I’m going to play devils advocate a little here even though I think you should do well with DFS. Another Warren Buffett quote. “It’s far better to buy a wonderful company at a fair price than a fair company at a wonderful price.” I am not always up with current events but from what I have experienced in the past it seems that VISA, MasterCard, and American Express are peoples go to cards and VISA seems to be more widely accepted at all retail locations. Where would you place DFS in relation to their competition in VISA, MasterCard, and American Express? How about a wonderful business at a wonderful price? Lending is not about who has the most transactions. If your argument held any truth, all smaller banks would be garbage and everybody would simply invest in JPM and WFC. There’s more to lending than having the dominant card system. Efficiency and loan quality play a *very* large part. Besides, I would argue that V and MA are completely different businesses than AXP and DFS. Spend a little more time studying the various players in detail. You might be surprised what you learn. Fair enough Mr Tako, so I did take a few minutes on Morningstar just now and see what you are talking about. They don’t really compare to the other cards because they are basically a bank that just happens to issue their own branded credit card. They are really cheap on a p/e ratio basis now and their share count is dropping and the dividend isn’t too bad. I do see their debt to equity ratio is about double the other 3 banks I hold but maybe there is a good reason for that I’m not seeing. I’ll have to look a little closer. Be careful using debt/equity ratios with banks. Often times the ratio is bogus because many banks issue preferred shares — which bloats the equity side of the ratio and minimizes the debt side. Most of the large banks are big issuers of preferred shares. It was a good surprise, but unfortunately I do not think that I can keep the pace for the year. Let’s see. The dinosaur egg kit looks interesting. Once my kid was gifted with a similar one, where he should remove the clay until reach the skeleton of the dinosaur. After that he wanted to work as an Archeologist for a while. The foods looks delicious as usual. I share with my wife some pics and it is encouraging us to try to cook different things at home. Good luck with the DFS. I had a first look last year on DFS after one of your posts with investment ideas and I had a second look during the weekend and the company looks a good candidate for a “marriage”. Thanks Odysseus! I agree that AXP or COF might make a good merger (marriage in your terms), and I would probably do well under such an event. Looking good Mr. Tako, solid dividend income and your expenses continue to be quite low (take out mortgage and child care). Interesting pick up on DFS. Discovery isn’t as well known compared to Visa and Matsercard but the PEG ratio looks very interesting. I’ll have to do more research on this stock. And nothing wrong with just wanting to eat lettuce. 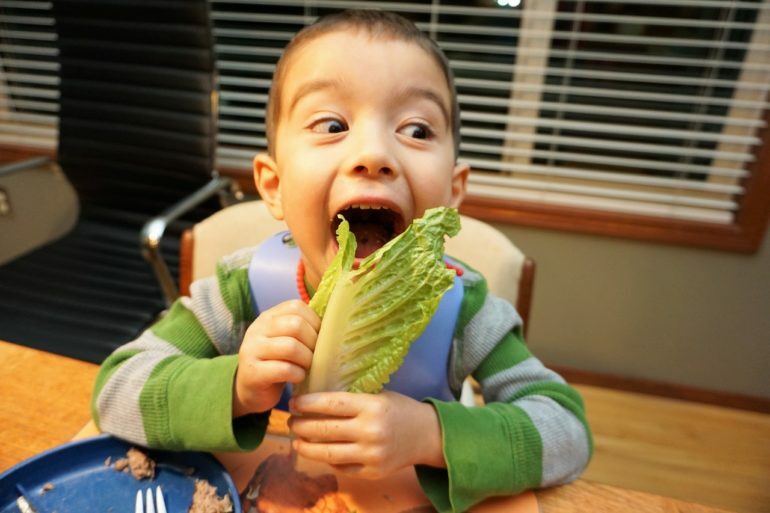 My kids go through that kind of eating cycle from time to time… like they just want to eat oats, avocado, and etc. As long as the food they’re eating is healthy, nothing wrong with that. I always come here for the pics of delicious food. I envy your cooking skills. 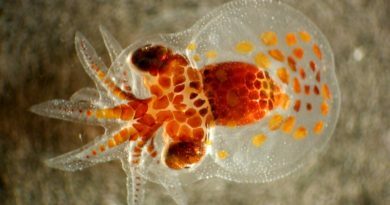 Brand new visitor – looking forward to reading more from you. 🙂 Total noob to FIRE, but super excited to learn more.